Today is United Nations Day! Today marks the 68th Anniversary of the ratification of the UN Charter. In celebration of UN Day, we felt it important to reflect on the United Nations as an international organization committed to maintaining international peace and security, developing friendly relations among nations and promoting social progress, better living standard and human rights. That’s no small feat they’ve been tasked with. In 2002, in an effort to meet their commitment to maintaining international peace and security, developing friendly relations among nations and promoting social progress, better living standard and human rights, the United Nations adopted the Millennial Action Plan. In celebration of the 68th Anniversary of the United Nations today, we took a moment to reflect on our commitment to helping the UN accomplish the Millennium Goals through our work at GOJoven. 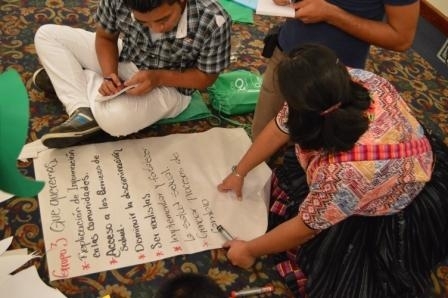 The Youth Leadership in Sexual and Reproductive Health Program (GOJoven) develops the leadership capacity of young professionals in adolescent sexual and reproductive health and rights (ASRHR) in Central America. Our mission is to develop and support young leaders and their organizations to advance wellness, education, sustainable development, and civic participation across the globe. Over the last 10 years, more than 170 youth leaders from Guatemala, Honduras, Belize and Quintana Roo, Mexico have graduated from GOJoven’s leadership training program. Once trained, our fellows have designed and implemented 39 Leadership Action Plans that have reached more than 10,000 young people and hundreds of organizations. In addition to training our fellows, GOJoven has trained more than 400 local organizations and government institutions to improve their understanding of SRHR and their ability to meet the needs of the youth and communities they serve. So, how does this relate to the UN’s work to accomplish the Millennial Goals by 2015? GOJoven has a particular focus on promoting gender equality and empowering women (Goal 3), improving maternal health (Goal 5) and combating HIV/AIDS (Goal 6). According to the United Nations Population Fund (UNFPA) and Population Reference Bureau (PRB), adolescents in Mexico and Central America face high risks of early pregnancy; sexually transmitted infections (STIs), including HIV; intimate partner violence; unsafe abortions; and poor birth outcomes. Through the GOJoven youth leadership training, youth participants (ages 18-30) spend a year learning about sexual and reproductive health, program planning and leadership. During the sexual and reproductive health section of training, youth learn about topics like: diversity, gender and power; gender and sexuality and family planning and HIV prevention. Once graduated from the GOJoven program, many participants go on to offer training in a variety of topics throughout their communities. GOJoven graduates have trained youth and adults in local schools, NGOs, government agencies, and community centers; some graduates have even opened their own youth-friendly sexual and reproductive health information centers, and others have created their own youth-led NGOs. An external evaluation of the GOJoven training indicated that our programs have had positive effects on our participants’ technical knowledge of HIV and family planning and ability to communicate with other youth about sexual and reproductive health. Seventy-one percent of participants surveyed have advocated for policies favorable to sexual and reproductive health at the local level. To continue to impact policies at the local, state and national levels around sexual and reproductive health, our program participants in Mexico, Guatemala, Honduras and Belize are hard at work developing strategic plans, advocacy and communications plans, and an internal organizational structure that fits the needs of their communities. There’s still so much to do…. We are proud of the work that our Fellows have done following participation in the GOJoven youth leadership program, while recognizing there is still so much to do in terms of promoting gender equality and empowering women (Goal 3), improving maternal health (Goal 5) and combating HIV/AIDS (Goal 6). We invite you to join us in our work by visiting our website, liking us on Facebook or supporting our programs, here. 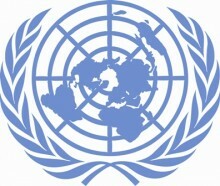 Happy 68th Anniversary to the UN! We look forward to working alongside you as you work to accomplish the Millennial Goals by 2015.